His directorial debut, Bingo: The King of the Mornings is Brazil’s entry into 2018’s foreign-language Oscar race. Bingo follows actor Augusto as he chases fame on Brazilian television in the eighties. Bingo is a fictionalised biography of Arlindo Barreto, an actor who played international children’s entertainer Bozo. 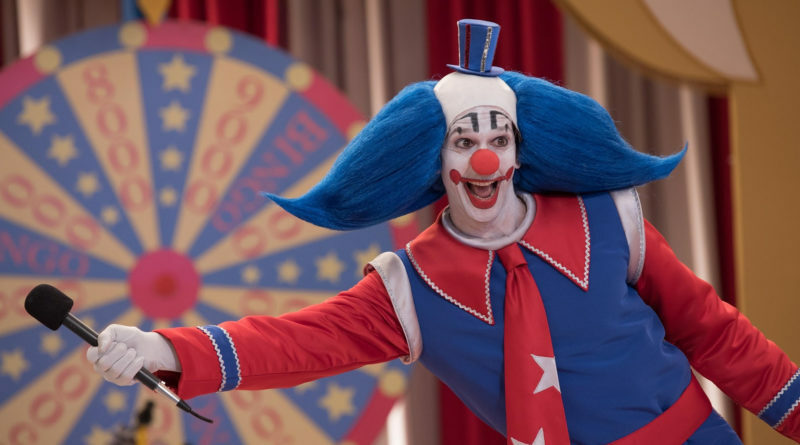 Vladimir Brichta plays Augusto Mendes, the fictionalised Bingo, as he descends into hedonism and struggles with his newfound fame, and the inability to reveal that he is the man behind the clown nose. 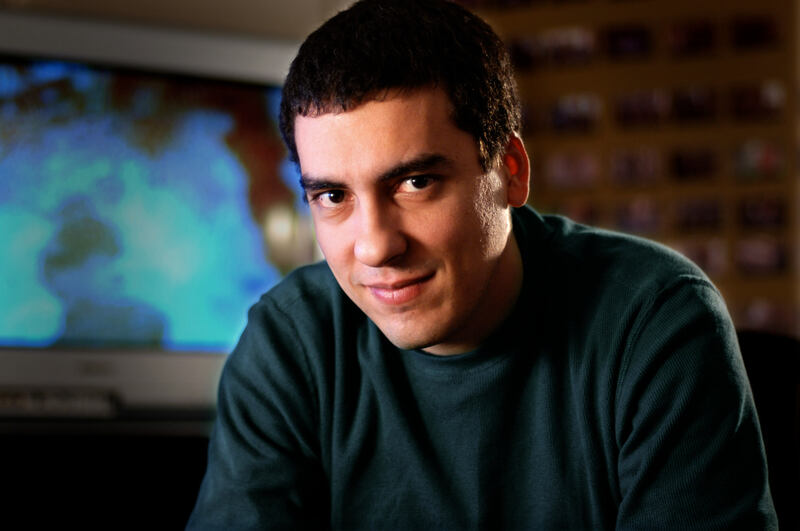 Daniel spoke to Screenwords about political incorrectness, how his experience as an editor shaped his vision as a director and telling a different kind of Brazilian story. What initially drew you to the story? I was looking for a project to be my directorial debut, I’ve been working as a film editor now for many years so I wanted to make a movie that I would love watching. I read an article in a magazine about the life of Arlindo Barreto and I could see there all the elements I was looking for. 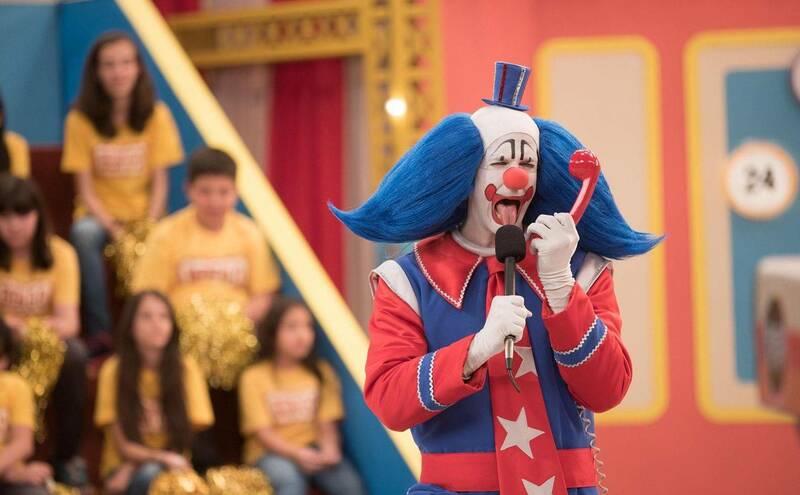 Arlindo lived so many lives in one and I was completely attached and inspired by this guy who wanted to find a place in the spotlight, to be recognised and validated as an artist, and when he does, performing as a clown in a kids show, he cannot tell people who he is, so nobody knows. I thought that was enough for me already to make a movie, but there was also a father and son story and the possibility of looking into Brazilian pop culture in the eighties. So all those elements together I thought I could make a movie, kind of like a rise and fall rockstar movie, but with a clown and a kids show, and talk about a politically incorrect era, the eighties. All this made me want to make this movie. It was really great to see the representation of Brazilian culture in the eighties, specifically the way it was so politically incorrect. Do you think of the film as a kind of antidote to current political correctness, or more just telling a story of its time and place? I think both. One of the reasons why I wanted to make this movie was to look into the era and especially for young people to understand how different it was and to be able to look at nowadays and look at how we are kind of the opposite now. I’m not saying that one is better than the other, I don’t think that I do believe that any extreme is terrible. But I think that there is an in between that we should look for which is to not be completely politically incorrect, but also not to live this lie that you have to be politically correct all the time and you are not true to yourself. So I thought the movie could make people think about this. You’ve said before that the ending is a redemption, but kind of like a bad redemption. I mean it was not exactly what he was looking for, that’s what I’m saying, it’s not a bad redemption, it is a redemption somehow, he found a stage where he could be. It’s not exactly what he was looking and it didn’t have all the glamour, but it was what he could do. Sometimes you aim so high and you can’t get there and you lose yourself in the way of getting there. But then if you look you can find out a possibility, so that’s why I think it’s a bittersweet ending where he finally got the applause he was looking for in the entire film it was just not in the place he expected to find it. It wasn’t something that I was really worried about, because I never looked into this film to be a religious redemption, at all, and I made sure he was there because of the stage. Which is different than real life, what happened in real life. In this movie, Augusto finds redemption through the stage. In real life, it was more the religious side? In real life, yes, but that’s not the movie, that’s one of the reasons why we decided to fictionalise everything, change names and create our own universe so we can. I wanted to be faithful to his [Arlindo Barreto’s] life, but at the same time try to create a character in the movie by itself. It’s different than doing a biopic that you have to be faithful and you have to follow the way that it happened. We wanted to be inspired by that story and create our own story. The film is quite different to a lot of the Brazilian cinema you’ve worked in before, what made you want to go for that different style? Did you want to break away from it? I did want to make a movie that Brazil does not make very often. I wanted people in Brazil to go see this movie and say, “wow, we can make movies like this?” Because we don’t usually do movies like this — a well-done movie with the best crew I could get, so you can see amazing photography, amazing production design, amazing performances — at least that was what we were hoping for and trying to get. Brazilian cinema usually goes more towards socio-political issues and i just wanted to make a movie that would look into our pop-culture and look into a human issue. I think that not only worked in Brazil, somehow the critics and the audience were really happy and surprised, but I think internationally, people were not expecting this kind of movie coming from Brazil and I think that people are surprised, in a good way. Do you think your experience as an editor affected how you directed the movie? It definitely did. I think that a director has to have a good knowledge of every area of filmmaking. Film editing is a good area for the director to know, because it’s actually the part of the movie that you transform the footage into the film, so that’s the last stage of making a film, so it definitely helped me in knowing what I would need to shoot, it got me to very objectively focus in getting the shots I needed for the edit of the movie. But at the same time I was always fighting myself and telling myself to have my eyes open and wide open because sometimes the gold and the diamonds are behind you or on your side and you don’t see them when you’re too focused, so I was struggling with those two things. But definitely, the fact that I come from a film editing background helped me to conceive the movie, then to generate footage to have the movie the way that we wanted to have. You didn’t edit Bingo yourself? No, I did not, it was one of the things that I decided since the beginning. I wanted to have a fresh pair of eyes that could look at me and say: “you have no idea what you’re doing, this is completely terrible, let’s throw this in the garbage and look into the different perspective”. I wanted to have that. Bingo: The King of the Mornings is in cinemas Friday, December 15th.